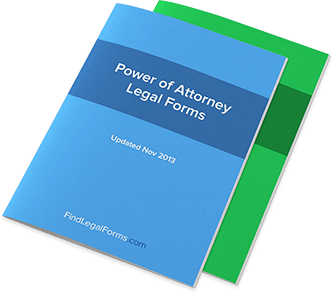 Power of Attorney forms. Fast, easy and legally binding. Legal documents whereby one individual will grant another legal authority to make decisions on their behalf. Powers of Attorney may be limited or very broad in the rights granted. A power of attorney form is a document that allows you to give another person the authority to act legally on your behalf and to basically “stand in your shoes”. Authorize someone else to sign certain documents or to legally perform certain actions on your behalf if you cannot be present. Authorize other persons to act on your behalf on your behalf in the event of disability. For Health Care: Allows someone else to make health care decisions on your behalf. Power of Attorney forms specifically designed for parents to authorize others to make medical and other decisions for their children. Power of Attorney forms that remain in effect even if the grantor becomes incapacited at a later date. These broad Power of Attorney documents can be used designate an agent to act on the grantor's behalf in a multitude of scenarios. Samples of Power of Attorneys for use when one party grants another decision-making power over the grantor's medical care. Power of Attorney forms designed both for specific situations, as well as more general forms that can be altered to limit the powers of the agent. Forms which will revoke existing an existing power of attorney whether limited or general. Care of Children Power of Attorney Used when both parents wish to grant another party a Power of Attorney for the Care of their Children. Durable Power of Attorney Effective Immediately Durable Power of Attorney Form that takes effect immediately. Care of Children Power of Attorney - One Parent Allows a single parent or one custodial parent to grant a Power of Attorney for the Care of Children. Durable Power Of Attorney Effective Upon Disability A Durable Power of Attorney Form that only becomes effective upon a disability. Advance Health Care Directive Includes Power of Attorney for Health Care and Living Will. Real Estate Purchase Power of Attorney This document allows an individual to appoint another person to purchase some real estate on his or her behalf. Real Estate Sale Power of Attorney This document allows an individual to appoint another person to sell a piece of real estate. Package contains form, instructions, checklist and more. Sale of Motor Vehicle Power of Attorney Allows an individual to appoint another person to sell a vehicle on their behalf. Package contains forms, instructions, checklist and more. Health Care Power of Attorney Revocation Form is used to give notice that a previously granted Health Care Power of Attorney has been revoked. Notice of Revocation of Power of Attorney This form is used to give notice that a previously granted Power of Attorney has been revoked. Revocation of Power of Attorney (Care of Children) Used to give notice that a previously granted Power of Attorney for the Care of Children has been revoked. Revocation of Power of Attorney (General) This form includes guidelines to ensure you properly provide written notice that all powers granted under a Power of Attorney are revoked. Powers of Attorney Combo Packages Get 7 forms for just $39.95. Save 63%! Our very popular Powers of Attorney forms together in a convenient packet Estate Planning for Married Persons With Minor Children Get 7 forms for just $39.95. Save 63%! Collection of forms necessary for married persons with minor children to plan their estate and to protect their rights and those of their family. Estate Planning for Married Persons With Adult Children Get 5 forms for just $39.95. Save 49%! This combo contains easy to understand instructions and model forms specifically designed for use by married persons with adult children when planning their estates. Estate Planning for Married Persons With No Children Get 5 forms for just $39.95. Save 49%! This combo includes an advance health care directive, power of attorney, will, organ donation and more and is designed for use by married persons without children. It provides the instructions and estate... Estate Planning for Single Persons With Adult Children Get 5 forms for just $39.95. Save 49%! This Estate Planning Combo Package is designed for a single person with adult children and contains the forms necessary to plan your estate. Estate Planning for Single Persons With Minor Children Get 5 forms for just $39.95. Save 49%! Designed to create an estate plan for use by a single person with minor children . Includes the instructions and forms to tailor to your unique situation and includes a will, durable power of attorney,... Estate Planning for Single Persons With No Children Get 5 forms for just $39.95. Save 49%! Collection of forms necessary for a single person with no children to plan their estate. Estate Planning for Divorced Persons With Adult Children Get 7 forms for just $39.95. Save 63%! This Estate Planning Combo Package for a Divorced Person with Adult Children contains the necessary forms to plan your estate. Estate Planning for Divorced Persons with Minor Children Get 7 forms for just $39.95. Save 63%! This Estate Planning Combo Package for Divorced Persons with Minor Children contains the necessary forms to efficiently plan your estate. Estate Planning for Divorced Persons With No Children Get 7 forms for just $39.95. Save 63%! This Estate Planning Combo Package for a Divorced Person with No Children will assist in planning your estate and ensuring that your wishes regarding disposition of your assets are carried out. Estate Planning for Couples With Adult Children Get 7 forms for just $39.95. Save 63%! This Estate Planning Combo Package is for Couples with Adult Children and will ensure that your wishes regarding disposition of your property are carried out according to your wishes. Estate Planning for Couples With Minor Children Get 7 forms for just $39.95. Save 63%! This Estate Planning Combo contains a variety of estate planning forms including a Mutual Will for a Couple with Minor Children. Estate Planning for Couples With No Children Get 7 forms for just $39.95. Save 63%! This estate planning package has the documents you need to protect yourself and your loved ones if you are you a couple with no children. Estate Planning for Married Couples With Adult Children Get 7 forms for just $39.95. Save 63%! For use by married couples with adult children when planning their estates. It contains easy to understand instructions and model forms you can tailor to your unique needs, while ensuring compliance with... Estate Planning for Married Couples With Minor Children Get 7 forms for just $39.95. Save 63%! Specifically designed to create an estate plan for use by married couples with minor children. This combo includes the instructions and forms to tailor to your unique situation and includes a will, durable... Estate Planning for Married Couples With No Children Get 5 forms for just $39.95. Save 49%! This Estate Planning Combo Package for a Married Couple with No Children contains the necessary forms to assist in planning your estate. Estate Planning for Widows and Widowers With Adult Children Get 5 forms for just $39.95. Save 49%! This Estate Planning Combo Package is designed for use by a widow or widower with adult children. Estate Planning for Widows and Widowers With Minor Children Get 5 forms for just $39.95. Save 49%! This Estate Planning Combo Package is designed for use by a widow or widower with minor children. Estate Planning for Widows and Widowers With No Children Get 5 forms for just $39.95. Save 49%! This Estate Planning Combo Package is for use by a widow or widower who has no children. We hear the phrase “power of attorney” a lot in our lives. Maybe we have direct experience with it, or maybe we’ve heard it on television or in the movies. But whatever your understanding of power of attorney, it’s important that you do not take the phrase lightly. That’s because power of attorney is one of your most basic legal powers – and signing it over to someone else can be a life-changing decision. For some people, it’s the right decision; having someone else handle their legal matters actually works to their advantage, particularly for the elderly or infirmed. But power of attorney can apply to a lot of different situations – and they don’t always mean you should simply sign yours away. Know what you’re signing over before you sign over power of attorney. Yes, we know you do a good job of handling all of your legal matters and that you’re wise when it comes to signing documents. But the power of attorney form is more powerful than you might imagine. It’s not like signing up for a cellular phone contract. Instead, it’s a form that can potentially transform the way you live your life. Power of attorney can include such privileges as being able to sign checks and pay debts in your name. Signing up for different services in your name can also take place, which gives someone with your power of attorney a lot of power to use up all of your money if they’re not going to use your assets responsibly. If this sounds like a scary (and unlikely) scenario, it’s best to keep in mind that it’s also entirely possible with power of attorney granted to someone else. That’s why you should keep our rule in mind. Now, the chances that you’ve already thought about the consequences of signing over power of attorney before you sign it over to someone else are pretty good. In fact, that’s how it should be. You should also have discussed the power of attorney with someone else – the person who’s going to be recipient of this power. But because one basic perusal of a power of attorney form will show you exactly how much of an impact it can have on your life, it’s important to repeat this rule. After all, there are those who might take the power of attorney too lightly, and for that reason this rule bears repeating. If you want to learn more about power of attorney, be sure that you also concern yourself with your country’s laws – and even the individual provincial or state laws that might pertain to your specific situation. A quick Google search of power of attorney isn’t enough; you need to know exactly what it means – and therefore what it potentially means for your life. Power of attorney is a very, well, powerful thing - but many people aren’t even sure that they know what it comprises, let alone how these characteristics can benefit them one day. Too many people are unaware even that something like power of attorney exists! So what’s a great way to change all that? To keep reading, of course, and to learn just why the Power of Attorney can be a tremendous legal tool for respecting your wishes even when you can’t speak for yourself. Here are four benefits to power of attorney that should shed some light on exactly what it is. Benefit #1: Your finances can be taken care of even when you aren’t able to take care of them. If you’re incapacitated to a degree that you can’t handle your own finances, then the general power of attorney will give someone else - hopefully, someone you trust - the ability to handle finances for you. That means they’ll be able to endorse checks, make deposits, and generally conduct finances in the same way you would if you were able to. This is a great benefit because it means your property and your estate will still go on even if you’re unable to take care of it yourself. Benefit #2: You can restrict power of attorney to your specifications, in many cases. Power of attorney is not always something that you simply sign on the dotted line and the legal system takes over - in fact, you will have a great deal of say over what someone with power of attorney can do in your incapacitation or absence. This is a great way to ensure that someone can handle your affairs without the fear that they’ll take advantage of you in some way. Benefit #3: If you’re not sure about what to do, you can simply assign “general” power of attorney to someone, which allows them to take care of whatever needs taken care of when you’re unable to do it yourself. This general power of attorney can include the aforementioned financial affairs, but it can also mean they handle legal matters, negotiations, property and housing arrangements - just about everything under the legal sun. This is great if you’re unsure as to how to proceed with power of attorney but know you need to assign it to someone in special cases. Benefit #4: A power of attorney can help you set priorities. One of the most important questions you ask before you sign a power of attorney agreement is simple: who do you trust? Naming a power of attorney means that you have to find someone that you trust with almost 100% trust - someone who you’re sure would never take advantage of you because of the power of attorney situation. If you can find someone like this, it means you know who you trust in this world, and that can be a very good thing indeed. When people hear the phrase “power of attorney,” they often think of a few predictable things: being able to make financial decisions like write checks and pay off debts, or in the case of medical powers of attorney, making medical decisions. If you’ve never heard of power of attorney for real estate transactions before, you’re about to learn just how comprehensive and sweeping powers of attorney can be - and how they can really help people, or in the wrong hands, hurt people. Let’s learn a little bit more about this power of attorney. Specifically defined, “real estate power of attorney” can really be a power of attorney granted solely for the use of making real estate transactions. These forms can be filled, signed, and easily handled by many lawyers - in fact, downloading one of these forms online is not hard these days. Not that you should ever download a legal form without plenty of research and sound legal advice in your hands first. These powers of attorney are, of course, isolated to the ability to make real estate transactions on someone’s behalf - although powers of attorney could include this power, it is possible to restrict the powers of attorney this much, as well. Confused yet? Let’s put it more simply: if you’re granting someone powers of attorney, you can limit their powers as much as you like. Real estate transactions is just one limitation you might choose from. Typically, people sign “nondurable” powers of attorney with the power to buy real estate, meaning that when you become incapacitated, the “agent,” or the one you’ve assigned the powers to, will not be able to continue carrying on with these powers of attorney. Whenever you hear a phrase like “durable” or “nondurable” in relation to powers of attorney, you should know that that’s what’s being referred to. Why would someone appoint powers of attorney for the purpose of real estate purchases or sales? Well, there are a number of reasons - if, for some reason, the principal of these powers (the one handing over the powers) is unable to make a real estate transaction but needs it to be done anyway, then appointing someone else the ability to make a transaction in their name might be valuable. Whether someone is overseas and unable to return or there is some other logistical obstacle in the way, power of attorney can be a powerful way to have someone else represent your interest. With that said, it’s also important to recognize that powers of attorney of any type should only be granted to someone with the implicit trust of the principal. Naming an agent - the person receiving the powers - should typically mean naming a family member or someone else who has known you for a similarly-long amount of time. Real estate power of attorney can be a powerful thing - which is why it should be given careful consideration before signing. If you’re interested in learning more, be sure to check out online power of attorney forms and see what language they contain.